Gonzalo Alcalde is Executive Director at FORO Nacional Internacional, our dialogue partner for Peru. 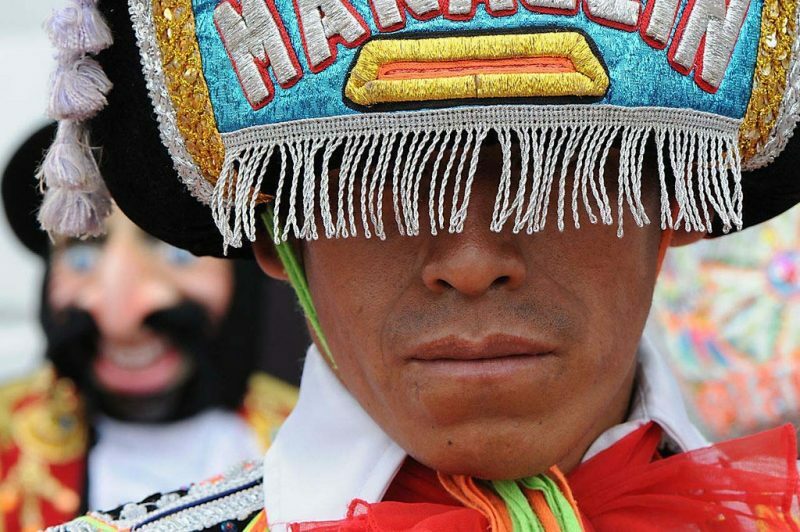 Here, he gives his personal take on where the green economy is going in Peru's political landscape - and looks ahead to the challenges and opportunities for the next few years. For several years now, transitioning to a green economy has been recognized as particularly relevant for Peru. First, because the country’s economic activity remains highly dependent on its natural resources; for example, the extraordinary economic boom of the past decade was largely based on exports of Peru’s primary goods, including mining, fishing and agroindustry. Second, it is relevant because of its territory’s high exposure and vulnerability to environmental changes, in a context of climate change, environmental degradation and increased pollution; this is an especially sensitive issue in light of Peru’s situation as one of 17 megabiodiverse countries in the world, which together account for 60-70% of the planet’s biodiversity. And, third, because many significant gaps in social and institutional development remain despite the overall progress that is suggested by national development indicators in the 21st century. Earlier in this decade, a UNEP-GIZ study (2012) recognized Peru’s potential “to become a leader and a model for other countries to follow in their transition to a green economy”, focusing on the biodiversity-based industry and bio-trade (particularly in agriculture and tourism) and its potential contribution to poverty-reduction, job creation and biodiversity conservation. In 2013, Peru was one of the first countries to join the Partnership for Action on Green Economy (PAGE), and in the following years several national ministries joined this initiative. In the context of PAGE, in 2015 several ministries undertook designing and approving a National Green Growth Strategy, considering existing national sustainable development plans and objectives. Next, in 2016, the Ministry of the Environment (MINAM) approved and published eight Guidelines for Green Growth. A first draft of the national strategy was prepared by MINAM and the Ministry of Economy and Finance in 2017, seeking to guide the country towards economic and social development while reducing informality, generating quality employment and using natural resources sustainably. An official national strategy was announced for May 2018 but has not been published yet. 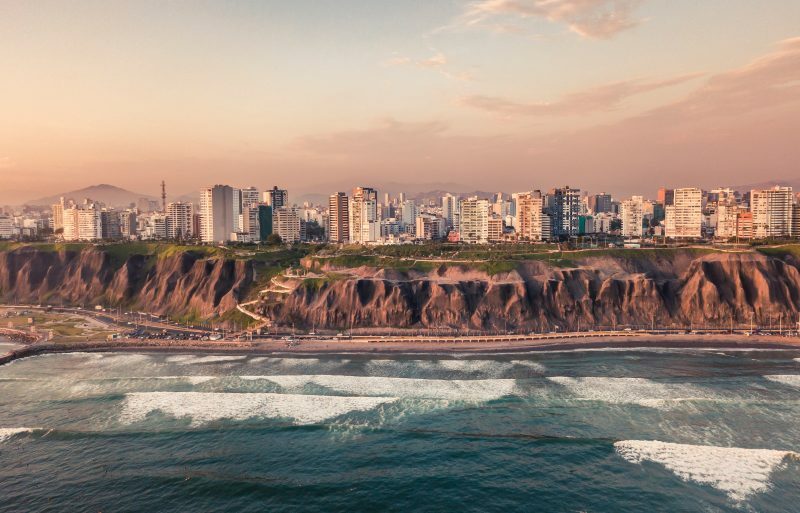 On several occasions, the Government of Peru has publicly announced its commitment to a transition towards a green economy. This drive has been underpinned by international commitments such as attaining the SDGs and the NDCs, but especially by Peru’s official objective to enter the OECD by 2021, as this organization formally advocates green growth, which is understood as a key element in the transition to a green economy. Along these lines, in 2015 Peru adhered to the OECD Declaration on Green Growth. In 2016, the OECD’s environmental performance review (part of the OECD’s Peru Country Program) recommended that Peru ensure that “the green growth strategy is a central pillar of development that involves sectorial ministries and makes them responsible for the environmental impact of their policies”. The commitment to green growth has been repeated at the international level in recent years. Pedro Pablo Kuczynski, Peruvian president between July 2016 and March 2018, stated at the UN General Assembly in September 2016 he would foster green growth and sustainable development as key elements during his administration. This was repeated in the context of the joint declaration of the 12th Pacific Alliance Summit in 2017, where presidents of Peru, Chile, Colombia and Mexico stated that they would “continue to promote a green growth strategy as a way to face the challenges of climate change, which especially affect the region”. This official rhetoric related to green economy, and to green growth in particular, since 2013 has not necessarily brought these issues to the forefront of key policy debates in Peru. It was not a central issue in the most recent presidential elections, although in May 2016 a debate on green growth took place with representatives of the two political parties participating in the runoff election, and both sides recognized the importance of green growth policies. Neither party in the June 2016 election mentioned green economy or green growth in their government plans, but both did use sustainable development and the SDGs as significant references for some of their policy proposals. Under the current administration of President Martin Vizcarra (since March 2018), neither the transition to a green economy nor green growth have been addressed directly by the president or prime minister. However, several relevant measures and activities have taken place at the highest level of policymaking. In April, for example, Vizcarra promulgated South America´s first climate change law (Law 30754), which seeks to reduce vulnerability and the consequences of global warming in the country. Also, it should be mentioned that President Vizcarra has continued to hold the SDGs and the 2030 Agenda as references for development policymaking in international forums, as was the case in his speech closing the 8th Summit of the Americas in April. Green economy and green growth have been specifically addressed in recent months by top officials at ministries such as the Ministry of Labor and Employment—in the context of continued efforts to promote green jobs—and MINAM—as it announced new green bonds to foster environmentally-friendly projects. Beyond the explicit use of the green economy or green growth concepts by national policymakers, some new, pertinent issues have been on the policy agenda recently. In June, a congressional committee approved the draft law for regulating single-use plastics and disposable recipients, in order to protect marine ecosystems and public health. This issue had rapidly entered the policy agenda in 2018. If approved, this should be implemented within three years for most industries, and within six months for the public sector, including public schools. Also, the regulations for implementing national law 30754 on climate change are currently undergoing participatory national consultations.